Over years of seeing Allen live, it’s striking to recall her at Caramoor in 1994, when she shared a solo piano bill with the great Kenny Barron. She parsed Monk and other material, including her own, and encored in a riotous two-piano showdown with Barron on “Tea for Two,” dealing impressively with a tune of older vintage. Years later, at the Village Vanguard, she led an engrossing quartet with Hart, bassist (and Cass Tech alum) Robert Hurst, and percussionist Mino Cinelu. I'm distraught. She never received the support and recognition she deserves. Our deepest sympathies to her Pittsburgh Jazz family! I had the great pleasure of hearing the beautiful sounds of Ms. Allen, live. May she rest in peace with all the many Jazz Greats who have passed before her. Jazz Studies program, who passed away June 27. 275 W. Market St., Newark, New Jersey. I am devastated by the passing of Geri Allen. She was one of those most extraordinary people as a human being and in her legion of contributions to Jazz and music and in so many spheres. I was able to see her near the end of her life and say goodbye. university acquiring the archive that it was possible. I just wanted to bring that to you attention. Members of the Pitt community joined jazz fans the world over this week in mourning the death of acclaimed pianist and composer Geri Allen, the director of Pitt’s Jazz Studies Program. An influential jazz pianist who brought the same passion for playing to her role as educator, Allen succumbed to cancer the afternoon of June 27 at the Cancer Treatment Centers of America at Eastern Regional Medical Center in Philadelphia. She was 60. Allen headed up the Pitt Jazz Studies Program for the past three years. She took the reins after long-running program founding director Nathan Davis retired. Allen revamped the program with additional faculty and outstanding staff and students, according to Deane Root, professor and department chair. “Geri also quickly took a role across campus in many capacities, including diversity initiatives, the Year of the Humanities, outreach programs, the development of resources and archives, and collaboration with other institutions,” said Root. He said when she took a leave from teaching and service at the University last fall to focus on her treatment she was worried she’d have to give up her creative activities. “Throughout her illness, she continued to take an active role in mentoring her graduate students and worked valiantly to fulfill her contracted performances, which she said sustained her spirit and her reason for living,” he said. Geri Antoinette Allen was born in 1957 in Pontiac, Michigan and raised in Detroit. The piano became her instrument at age 7 and by the time she graduated from Cass Technical High School, she was a protégé of the late trumpeter Marcus Belgrave, with whom she continued to collaborate over the years. She was one of the first students to complete a jazz studies degree at Howard University, and then, at the urging of Davis, earned a master’s degree in ethnomusicology at Pitt in 1982. Kenneth Powell, adjunct saxophone instructor at Pitt, was in the same program at the time and immediately hit it off with Allen. Allen made a name for herself in New York City’s jazz clubs and in other venues across the country beginning in the 1980s. She performed and collaborated with Ornette Coleman, Ravi Coltrane, Betty Carter, Dr. Billy Taylor, fellow Cass Tech alum and bassist Ron Carter, and many others. More recently, she toured with bassist Esperanza Spalding and drummer Terri Lyne Carrington in the ACS Trio. In 1995, she was the first recipient of Soul Train’s Lady of Soul Award for jazz album of the year, Twenty-One. The following year she became the first woman and youngest person to win the Jazzpar Prize, a high Danish Honor. She was named a Guggenheim Fellow in 2008, the same year she won a Distinguished Alumni Award from Howard. 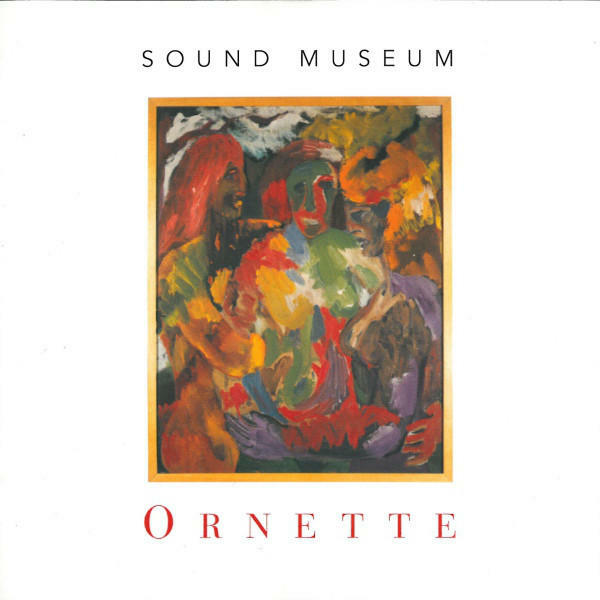 She was co-producer of the recently-released 3-CD set The Complete Concert By The Sea, an expanded version of the best-known album by Pittsburgh jazz great Erroll Garner. In 2016, it was nominated for a Grammy Award for Best Historical Album. Allen’s interest in Garner didn’t stop there. She was the guiding force in securing the donation of the Erroll Garner Archive for the University Library System. “Her love and knowledge of Pittsburgh’s jazz legends and her international acclaim as a musician, along with her determination to enhance resources for Pitt students, led to a continuing relationship with the donor,” said Root. Allen is survived by her father, a brother, and three children. Plans are in the works for a memorial tribute to her on campus later this year. 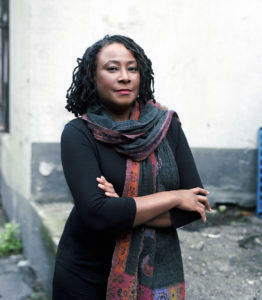 And this fall, the 47th Annual Pitt Jazz Seminar and Concert will be dedicated to Geri Allen. 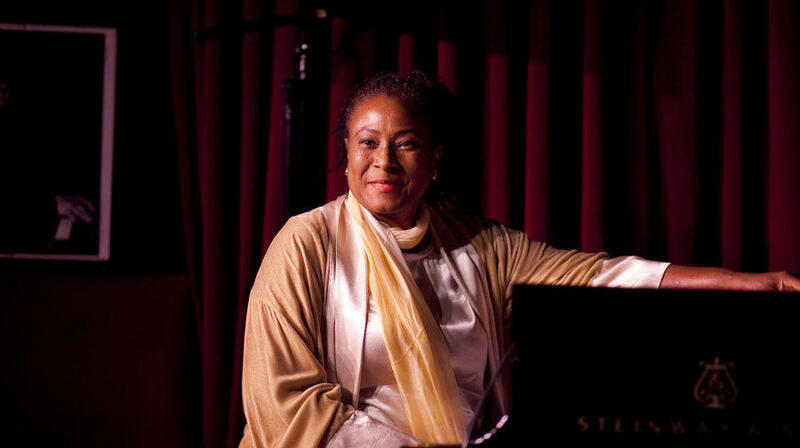 Thank you for sharing the news of the passing and arrangements for the incomparable Ms. Geri Allen. This is beyond sad and shocking and there are no words - especially for those of us who did not know that she was ill. Her brilliant talent/clarity of vision and ability to communicate and execute her musical ideas were a rare combination. One cannot help but think that she had so much more to give and say in her oeuvre. The wonderful Lucinda Harper - Dad’s Mother - used to say “God Works in Mysterious Ways”. Geri Allen in her short stay inspired a lot of musical minds and demonstrated that the far reaching vicissitudes of Jazz are everlasting. I think that Geri Allen planted the seeds for other musical talents and voices to follow in her footsteps in years to come. Like Miles, Prince, Erroll, Mary Lou Geri Allen was - to put it simply - way ahead of her time. You’re right - she didn’t get the recognition that she deserved in her lifetime - but her voice was strong and her musical message will resonate - through her followers and like minded musicians for years to come. She did a lot for the Pitt (Jazz department) and though not a native Pittsburgher - through her work she demonstrated that she had tremendous respect for the native Pittsburgh musical genius - Erroll Garner, Mary Lou Williams, Billy Strayhdorn et. al. I hope Pitt does something monumental in her memory. Keep us all posted. Your’s is another voice that we’re all listening to! My heart goes out to her family - especially to her children - two of whom are still on the young side. Losing one’s Mother at an early age is disconcerting and unsettling. I know personally all about this unnatural circumstance. My sympathy to the Jazz Community, to Women in Music, to Humanity in general and most of all to her Family.